Children from the India Association of New Hampshire (IANH) entertained the guests at the Hillsborough County Nursing Home in Goffstown NH on Saturday June 18, 2005. The variety entertainment program included classical and folk dances from different regions of India. The staff at the Nursing Home made the arrangements needed to accommodate a large gathering of senior citizens. Last year this event took place on Mother's Day. This year we were pleased to be there in honor of Father's Day. Meera Nair opened the program with her Ganesha Kauthuvam, followed by a delightful skit on the merits of being united, which was performed by Pragnya Iyengar, Nishant, Nitin and Shreevatsan. Anusha Gopal and Varsha Gopal stole the hearts of many with their dance. Anjana Mangalat danced to the sixties song, "Parde Mein Rehne Do" followed by folk dance by Aishwarya Ravi in the Kuchipudi tradition. Lekha Nair entertained everyone with a wedding Qawwali. 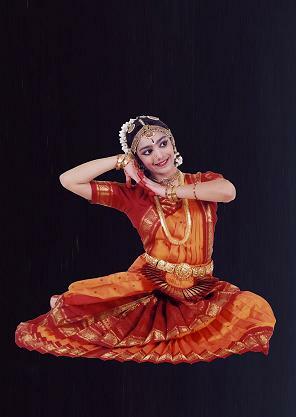 Amritha Mangalat performed a gypsy dance, "Kurathi Naatyam", which is a popular dance from Tamil Nadu. Anusha Gopal concluded the event with "This Land Is Your Land" which she delivered on her violin. This had all the delighted audience singing along with the music. Barinder Ahluwalia and Tony Epaphras addressed the audience and that concluded the day's events. We have been asked to come back next year. The kids were touched by the appreciation and praise that they received from the audience. For more information and pictures of the visit, please visit www.iahn.org. Barinder Ahluwalia and Tony Epaphras from IANH.